Fantastic Beasts 2 isn't going to explicitly address Dumbledore's sexuality and Ian McKellen is rather disappointed in that fact. Even though McKellen isn't involved in the Harry Potter franchise in any capacity, even if he would have made a great Dumbledore and, by his own admission, he gets confused for having played the part often enough, the actor is gay himself and has been an advocate for the LGBTQ community for years. 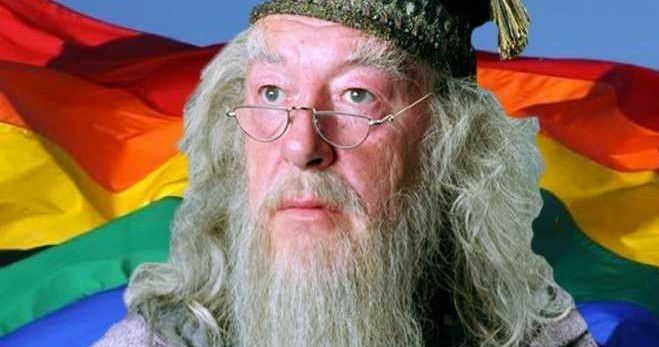 Upon hearing that Dumbledore won't be openly gay in the upcoming sequel, McKellen expressed his disappointment and went on a bit of a rant about Hollywood in general. Here's what he had to say in a recent interview. "Isn't he? That's a pity. Well, nobody looks to Hollywood for social commentary, do they? They only recently discovered that there were black people in the world. Hollywood has mistreated women in every possible way throughout its history. Gay men don't exist. 'Gods and Monsters' , I think, was the beginning of Hollywood admitting that there were gay people knocking around, even though half of Hollywood is gay." It's obviously an exaggeration to say that half of Hollywood is gay, but there certainly does appear to be a bit of a hypocrisy going on there. Regardless, it's not hard at all to blame the Lord of the Rings and X-Men star for being irritated. Director David Yates revealed in January that Dumbledore will "not explicitly" be gay in Fantastic Beasts: The Crimes of Grindelwald. "But I think all the fans are aware of that. He had a very intense relationship with Grindelwald when they were young men. They fell in love with each other's ideas, and ideology and each other," added Yates. Hollywood has released some movies recently, like Blockers and Love Simon that both prominently feature gay characters. But those aren't blockbuster movies. The problem with Fantastic Beasts 2, specifically, is that Dumbledore is gay and creator J.K. Rowling has made that very clear. This isn't like Star Wars either where there is an entire story group. What Rowling says goes. This is her world. This movie has, or at least had the chance to prominently feature a gay character in a franchise that already has a massive and devoted fanbase around the world. However, it seems as though Warner Bros. felt it would be too potentially risky to bring Dumbledore's sexuality to the forefront. Marvel and Disney have similarly chickened out of featuring a gay character prominently in movies like Black Panther and Beauty and the Beast, even though the opportunity was there. Deadpool 2, strangely, managed to be one of the first major blockbusters to feature a gay couple on screen, a decision which GLAAD applauded. Unfortunately, the latest movie in the Harry Potter universe, which arrives in theaters on November 16, won't be taking that leap. So don't expect Ian McKellen to shell out money to see it opening weekend. This news comes to us courtesy of Time Out.